Each time you step into a ReStore here in Chicagoland, you find hundreds of new and gently used items to help remodel, redecorate, reorganize, or repair your home—at significant savings over retail. From major appliances and furniture to home accessories, light bulbs and tools…everything in store is of good reusable quality and offers an incredible value, too. 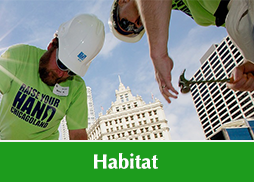 Plus, when you shop at ReStore, you directly help your local Habitat for Humanity. Bathroom or kitchen finishes such as faucets, sinks, etc. Cabinetry for kitchens, baths, laundry rooms, etc. Windows, doors, floors, and hardware including doorknobs, switches, etc. Generous individuals, families, businesses, contractors, builders, and even big-name manufacturers all contribute goods to our stores. Because the items are donated, they can be sold at a fraction of retail cost. 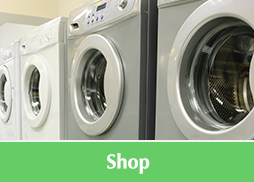 New, surplus inventory, along with well-kept, reusable home items, arrive every single day—offering incredible selection and great variety each time you shop. Best of all, you can feel good knowing that proceeds from ReStore sales aid in building affordable housing for deserving Chicagoland families. It’s a positive step for your home and your community. Learn how ReStore helps. 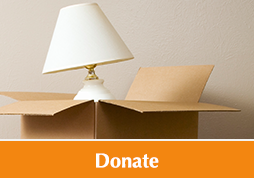 For any project, large or small… make Habitat for Humanity ReStore your first stop.